For sale is my MW 5450. I purchased this horn new from the Baltimore Brass Co. in 2010. Last edited by joshlee on Wed Feb 13, 2019 12:15 pm, edited 13 times in total. You don't see these (Thor) go up for sale very often. 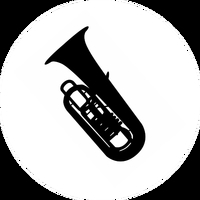 5/4 B&S 3198 ~ "Bydlo"
3/4 Yamaha YFB-621S ~ "Yennifer"
I've always thought the small bell versions of these were the better instruments, so I definitely recommend this to anyone in need of a fantastic CC tuba that could serve very well for a single tuba owner.